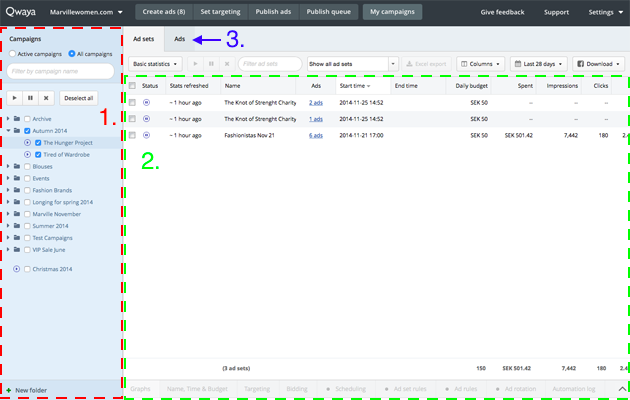 In the ‘My Campaigns’ section you will get a quick overview of the status of your campaigns and ad sets as well as changing some of the basic settings. 1. In the left hand sidebar you will see your campaigns. 2. When you select a campaign in the left hand sidebar the ad sets in the campaign will appear in the Ad sets view. 3. If you click on the ‘Ads’ tab you will see the ads and get reports on an ad level.